Anyone else in the fishing world wishing March would get here and warm up??? Now is the perfect time to load up on Wig's Jigs and Hot Rod Baits plastics. Don't worry anglers, soon we will be throwing plastics and ctaching fish! Enter TODAY, the first 20 teams that submit their $100 deposit will be entered into the 2015 Series. 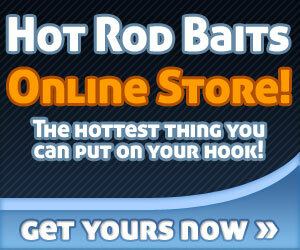 Ladies and Gentleman, Hot Rod Baits has the perfect solution for that "guy" who has it all. 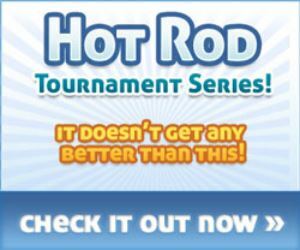 HOT ROD BAITS Gift Certificates. They are available in any dollar amount, and you will receive the gift certificate in an email within minutes of purchase. 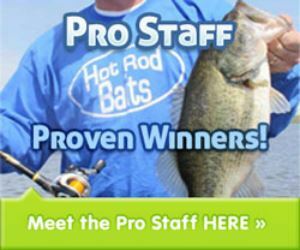 Shop wise and securely at Hot Rod Baits this holiday season, and reward that special angler some fantastic bass catching baits. Click HERE to get started and have a great holiday season! Another bass fishing season comes to a close here in the Upper Midwest, we would like to congratulate a few anglers and their achievements this past tournament season. ~Kary Ray of Tiffen, Iowa completes all over the state of Iowa, including the FLW Bass Fishing League. Kary ended the year 20th overall in the standings and qualified for the BFL Regional event. Kary loves using Hot Rod Baits Tubes, especially in the Green Pumpking/Blue color scheme. You can see and talk with Kary throughout the fall and winter seasons as he spends some weekends working at Bass Pro Shops in Altoona, Iowa. 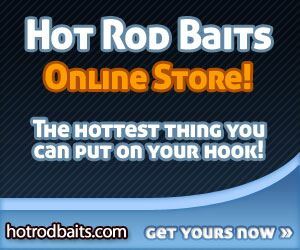 Make sure and say hello and ask how Hot Rod Baits made his year one to remember! ~Kevin Christensen and Gary Satterlee, both of Independence, Iowa can be found on the upper pools of the Mississippi River chasing largemouth bass in Iowa, Minnesota and Wisconsin all year long. Kevin and Gary are always a force to be reckoned with. They once again captured the Bass World Sports Team of the Year in the Harper's Ferry Division on Pool 10. Keven and Gary rely on Green Pumpkin tubes, Wig's Jigs and Hot Rod Baits Jig Chunks to bring their limits to the scales. ~Todd Reed of Marshalltown, Iowa fishes all over the state of the Iowa. Todd captured the Tri-County Bass Club Angler of the Year this past month. No matter where he goes his rods/reels are full of Hot Rod Baits. He credits his success to the Hot Rod Baits tubes. River Minnow, Dirty Craw or Black and blue are his go-to baits. Hot Rod Baits is proud to announce that we will once again be supporting the Iowa State University Fishing Club for the 2014-15 school year! Good luck at school and best wishes on the tournament trail this upcoming year. Travis Loving and Todd Holliday walked away with the 2014 Team of the Year award. They started the year with a win at Lake Belva Deer, followed that up with a second place at West Lake Osceola and ended the year with a limit and a 7th place finish at Pool 9. Three events, and three limits later they were crowned the Team of the Year and collected their plaques and bonus money of $450. Congratulations to both of them. Runners-Up this year were Doug Chaloupek and Dave Jordan. They had finishes of 3rd, 8th, and 6th, including limits at all three events as well. Great job to them as they collected an extra $250 for Runner-Up Team of the Year.